"He was the first-round leader at Colonial after a stunning 62, shot an opening 66 at the previous week's Byron Nelson and, more recently, cruised to a 65 in round of the the WGC-Bridgestone to lie T7 after 18 holes." Weather forecast for Ridgewood, New Jersey: Winds are light at between 6mph and 8mph all day while temperatures rise from the mid-to-late 60s in the morning to a peak of 78 at 4pm. It's the usual balance of the afternoon players having it a bit hotter but also dealing with the morning foot traffic on the greens. Overall, there seems no bias. First-round leader history: Bo Van Pelt, an afternoon starter, topped the leaderboard after day one the last time Ridgewood played host in 2014. A chip-in eagle at 17 helped him finish a shot in front of Cameron Tringale, Hunter Mahan, Charles Howell III, Brendon de Jonge, Ben Martin, Jim Furyk, and Paul Casey. Four of those seven were also p.m, starters; three teed off early. In 2010 at Ridgewood, Tiger Woods, playing in the very first group of the day, shot a 65 to share R1 honours with fellow morning starter Vaughn Taylor. Overall, I don't think the draw should sway opinion. Kevin Na has played in all three editions of this tournament at Ridgewood and done pretty well. He took T31 in 2008, T36 in 2010 and jumped up to T9 in 2014, shooting a 66 in round two. Without doubt, he can play the course. Na has finished in the top 25 in his last three starts in New Jersey so can handle any shouts about his slow play while we last saw him finishing tied 19th in the PGA Championship at Bellerive where he ended his week with a 66. A winner at the Greenbrier last month, there's lots to like about him this week and, of course, he also the ability to do what we want in this market - start fast. He was the first-round leader at Colonial after a stunning 62, shot an opening 66 at the previous week's Byron Nelson and, more recently, cruised to a 65 in round of the the WGC-Bridgestone to lie T7 after 18 holes. Looking at the list of first-round leaders in the past here, it's hardly packed with just elite names so Na looks an interesting bet at 80/1. Kevin Kisner has had plenty of TV/Facebook time over the last month after returning to some strong form. The American was the first-round leader on his own after a Thursday 66 in The Open at Carnoustie, eventually finishing tied second, while he was also in the top five after day one of the US PGA at Bellerive. Kisner followed up his opening 67 with a 64 to sit second after 36 holes so really is coming out with some low early rounds at present. Although he missed the cut at Ridgewood on his one start in 2014, this course doesn't suit any one style of golf and, with the rough up, it's encouraging to see that he ranked 1st for Driving Accuracy in the US PGA. I'll get a second Kevin on my team and back him for FRL at 60/1. I'm surprised to see Zach Johnson at 66/1 in this market given his recent penchant for quick starts. Johnson is in ultra-solid form after reeling off six straight top 20 finishes and in three of those he made an impact early. 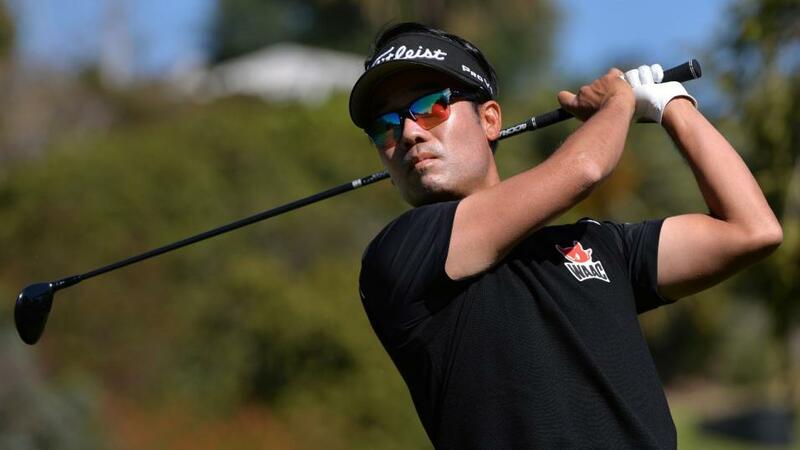 The two-time major winner opened with 63 to lead the Travelers Championship, was T3 with just one other after a Thursday 66 in the US PGA while he was T8 at close of play on day one of The Open before holding a piece of the halfway lead. In addition, he's finished T22 and T21 in the last two editions of this event at Ridgewood, shooting 68 and 69 respectively in his openers. Add it all up and Johnson, who closed with 66 at Bellerive, looks a tasty bet at 66/1. Start times? Na 08.27, Kisner 12.33, Johnson 07.32 so we have interest in both sides of the draw.